…in which David returns to his long-neglected blog. Welcome back to the podium, faithful readers! Another busy month has passed, and if you have been following my Twitter feed (conveniently embedded on the right side of this blog for your viewing pleasure), you’ll have seen that there hasn’t really been a dull moment, and not much in the way of downtime. In that regard, the past month has been more of the same: days are spent largely in classes and at work, evenings and weekends are spent mainly writing music, and I manage the occasional night out; even more seldom is a day off. Finding the time to do the dishes remains a challenge as music composition and meeting deadlines always seem to win out. We are being pushed to our limits on a regular basis these days, and I keep telling myself that the reason is to build up our tolerance, resistance, and fortitude. That said, sleep has been something of a luxury as of late. With final projects having been announced in each of our courses, the end of the semester is in sight. After an intense finish to November, we have one more push of three weeks to survive before our holiday break. We have a lot to catch up on, so here we go! 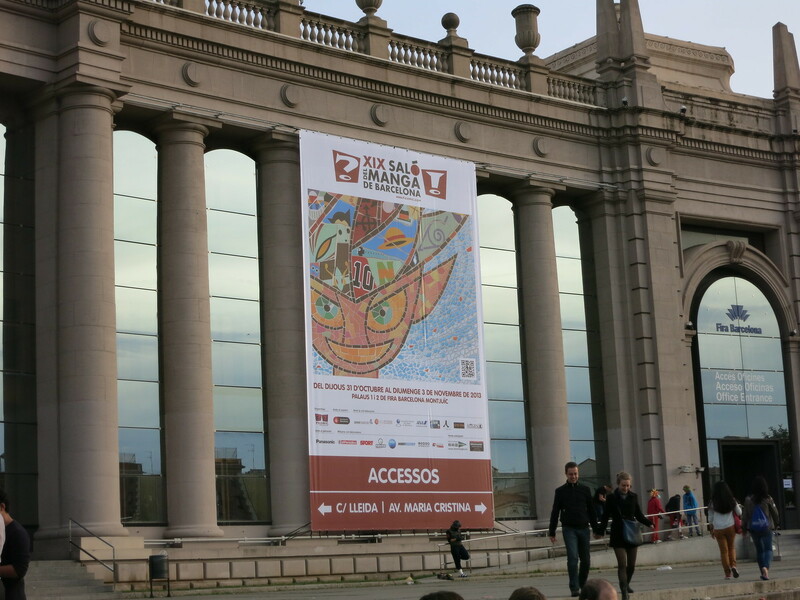 The XIXe Salón del Manga de Barcelona. …which leads to scenes like this. Yes, there was apparently a disagreement between the convention administration and the building staff about the volume of attendees and traffic flow, which caused massive bottlenecks to form throughout the weekend. That being said, for a show that nominally boasts an attendance in excess of 100,000 attendees (I’m suspecting that number represents tickets sold, and I therefore counted as 4 attendees), I have to question the logic of using a venue with a posted attendance cap of less than 6000 (and as explained in an article in El Pais, an actual cap of 9500). Even if we were to suppose that the reported 115,000 attendees translated into an average of 20-30,000 warm bodies, holding your event at a single venue that can accommodate not even half of your audience may not be, I would suggest, the wisest decision. 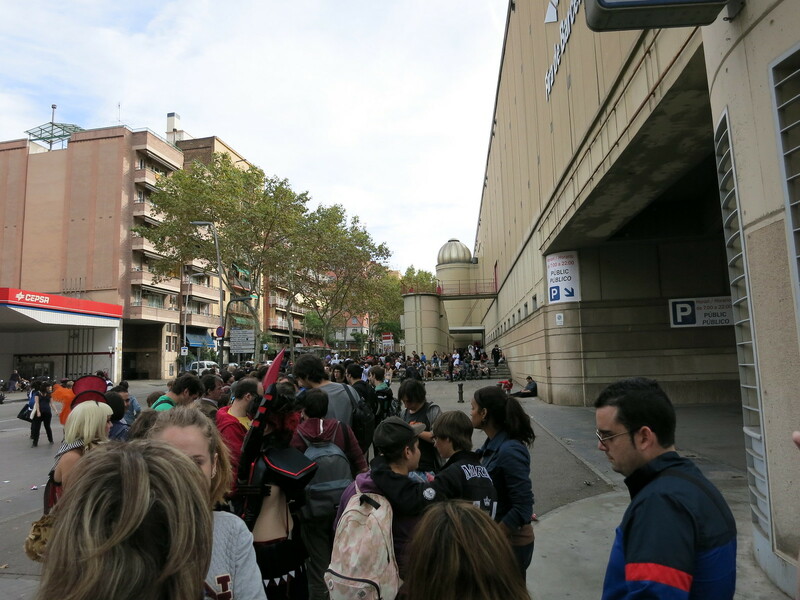 In spite of there being two lines to enter the venue, each stretching for more than 1 km on the Saturday of the convention, they were still selling tickets (which they ultimately ceased). On top of that, the exhibition halls felt more empty than they should have been (or, to be fair, than they probably were), but they also felt like the space within them could have been used and arranged more effectively to accommodate more attendees, vendors, and events. …otherwise known as all of these people. Admission to this event was surprisingly inexpensive, too: 7 € for a day pass, or 20 € for a weekend. As well, cosplayers were allegedly granted free admission on Friday, at least. At those prices, you would have to be crazy not to attend, if an anime convention is your kind of thing (and you happen to be in the area). …which seems to apply to all of these people. I knew something was up when it took 2 hours to enter at an off-peak time, with my ticket in hand. It would take 4 hours of waiting in line, ticket in hand, to enter the convention on Saturday. The crowd was surprisingly well-behaved, but I was severely disappointed, and like most upset attendees, I took to social media to complain. 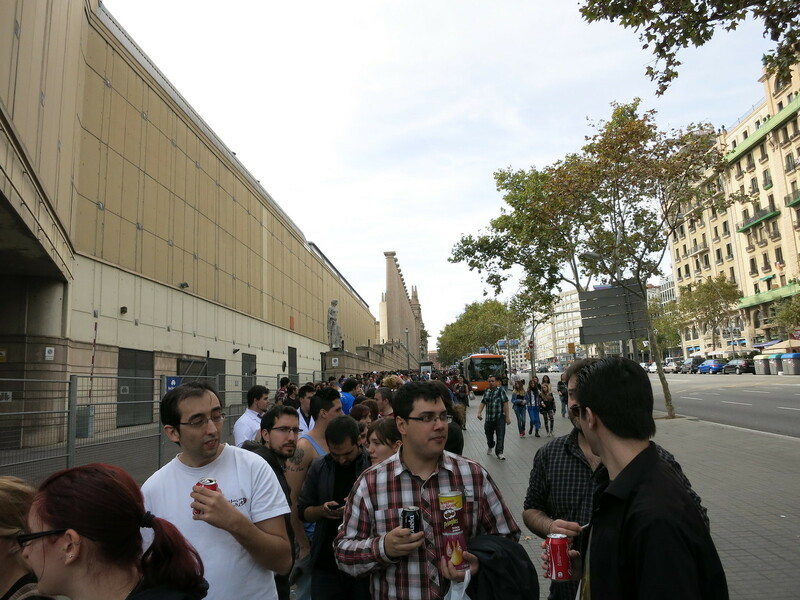 Someone referred to it as “Salón del Colas,” which is effectively what we would call, “LineCon” back home. 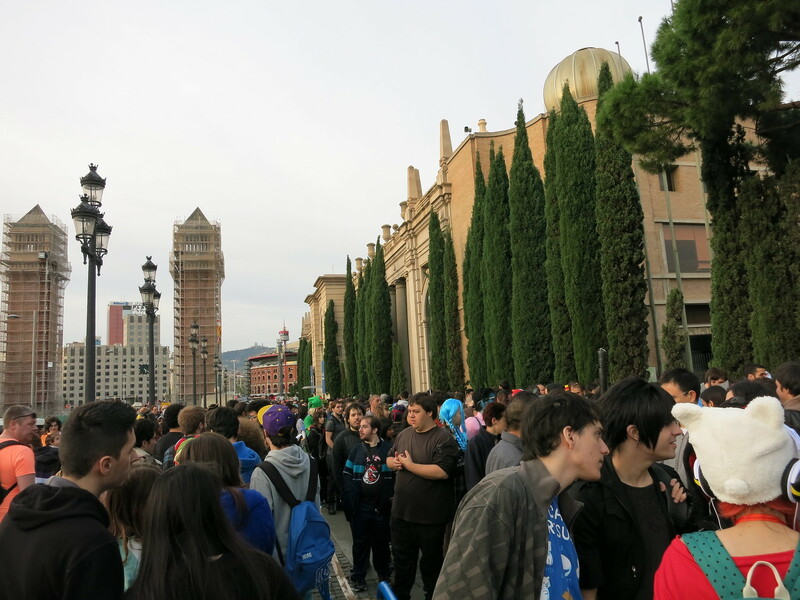 FICOMIC issued a statement in response to the online backlash explaining their side of the story, and the lines, while still massive, moved fairly smoothly on the Sunday of the convention, with longer lines taking only half an hour to process. Given my own experience on the inside of major conventions, I imagine that there was a sit-down between the two parties after the frustration-inducing Saturday, which yielded the results of Sunday (and kudos to them for it). That said, also speaking from experience and at the risk of sounding sanctimonious, these are things that should have been planned for far in advance. This year did not represent a significant spike in attendance, and they even explained that they wanted to prepare to receive the same volume of attendees as they had the year before. The reason for the apparent organizational dysfunction this year escapes me. Appreciating that many conventions suffer years like this, it might just have been my bad luck to attend this year, of all years. It seems that there are plans to move to a more capacious venue for next year, and I wish them all the best of luck in the future. All that aside, once we finally got into the convention, we had a good time. 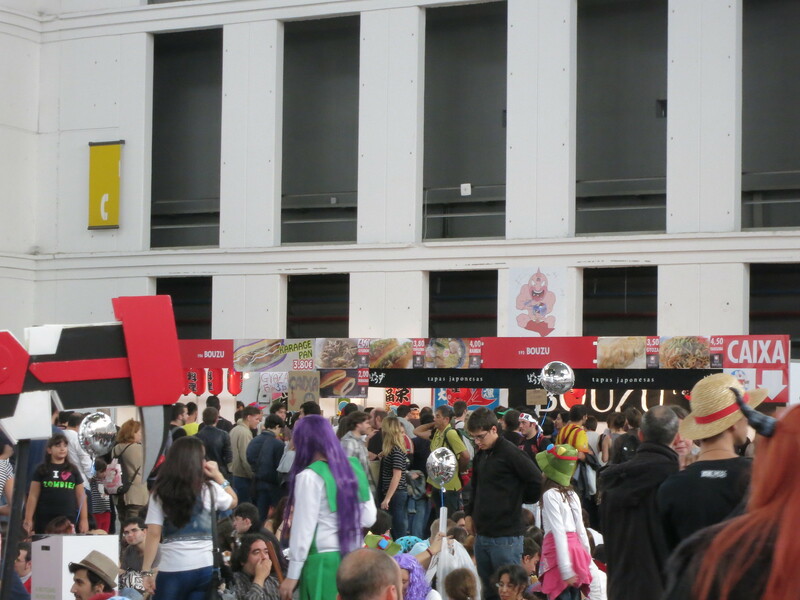 One of the best things about the show was the Gastronomica Japonesa, which was effectively a Japanese food court set up within the convention space. Vendors sold everything from cup ramen to sushi, takoyaki to taiyaki, gyuudon to curry, and even Japanese beer. That’s one thing, I will say, conventions back home are sorely missing. 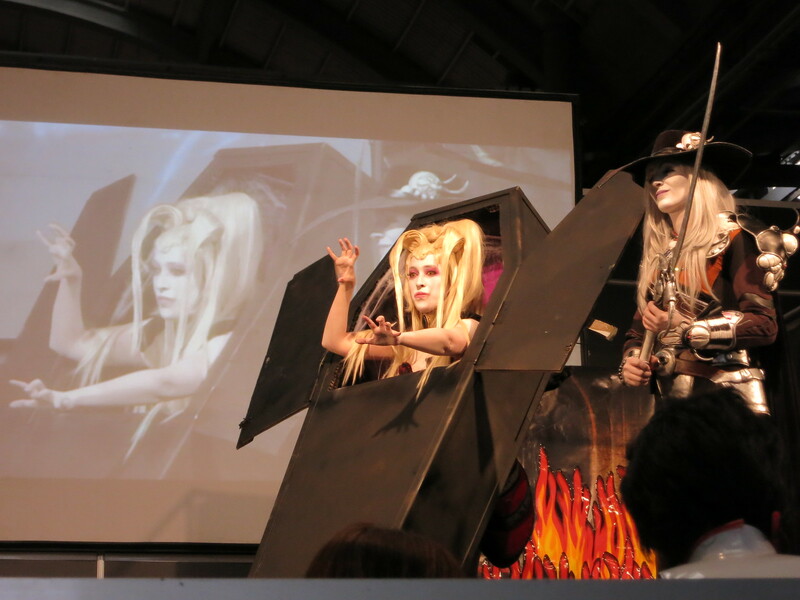 Award-winning cosplayers portraying characters from Vampire Hunter D strike a pose at the end of their performance. Watch their whole act here. 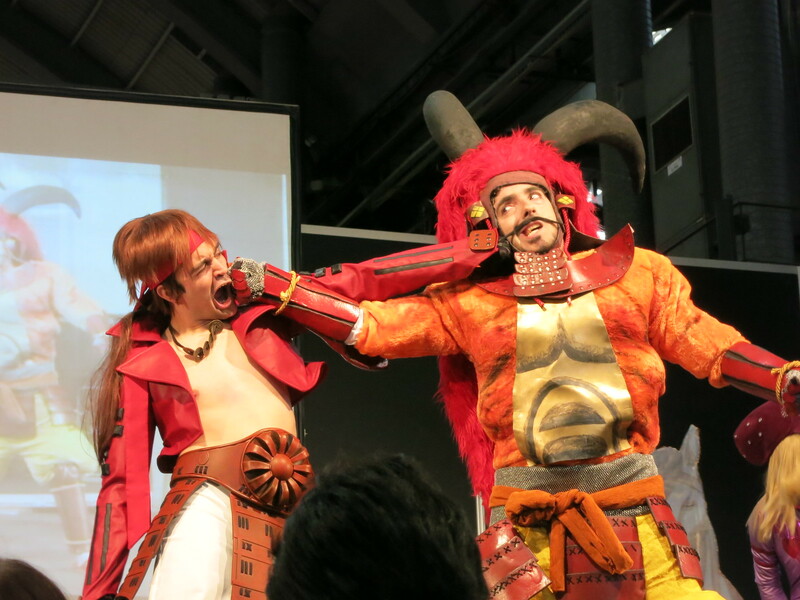 The other highlight of the weekend was attending the World Cosplay Summit competition, with presentations by world-class costumers. While this might be just another day at the office for my champion costumer friends and associates back home, this was some of the best cosplay that I’ve seen in a very long time. Particular care and attention was given to presentation, with use of portable set pieces and backdrops, well-implemented audio and lighting cues, and (at times liberal) use of theatrical fog. Getting to watch the competition itself was worth the price of admission (both in terms of money and time). You could say that the show was — wait for it — a real knockout! It was interesting to see the variety of series represented through cosplay, both in the context of the competition and in the hall. In addition to there being many attendees (and plenty of merchandise) dressed as characters from Attack on Titan, a popular series from earlier this year, and even plenty of Game of Thrones cosplayers (yes, at an anime con), there were many classic series represented, especially Utena, Chobits, Fullmetal Alchemist, Ranma ½, and Sailormoon, and such game series as Final Fantasy, Team Fortress, and League of Legends. One last glimpse of the Fira de Barcelona, from Plaça d’Espanya. Even though I spent almost all of my Barcelona experience at (or waiting to enter) the convention, it really is a beautiful city, and I look forward to having more time to explore the city. I hope to return before my time in Spain is up. 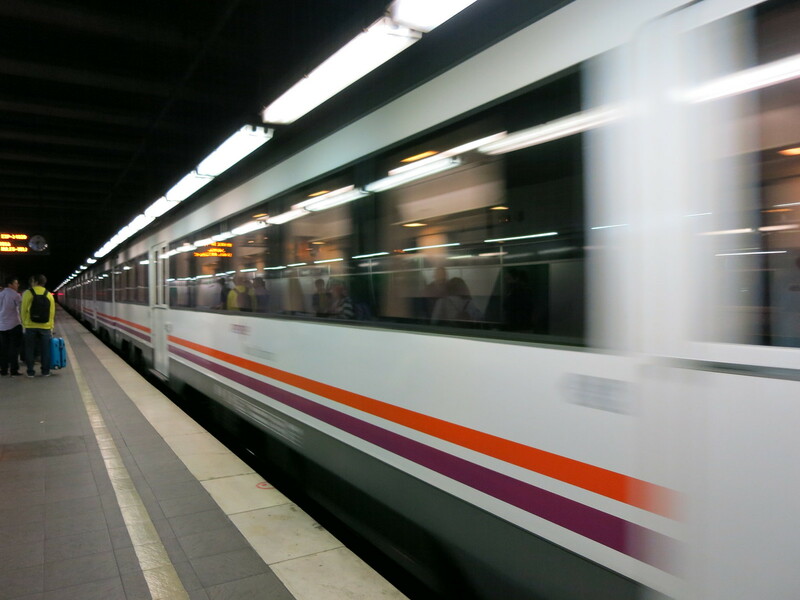 With our excursion to Barcelona behind us, it was back to work. We had an incredibly busy November at Berklee Valencia. Remember those five recordings in seven weeks I mentioned in my last entry? Three of them have passed, and I seized the opportunity to do an extra one for good measure. The recording schedule had been set such that my half of the cohort records on Mondays, while the other half records on Fridays. This arrangement prompted me to dub my team, “Los Lunes al Estudio” (Mondays in the Studio), in homage to one of the films scored by Lucio Godoy, Los lunes al sol (“Mondays in the Sun”). Similar to Girasoles, I found myself quite affected by the emotional content of the scene; it was just a different emotion, which was probably for the best, this time around. In addition to composing and conducting, we are being trained in the art of session production as well, with each of us pairing up with another student to produce each other’s recordings jointly with our professors. While this aspect of the field is somewhat new to me, it has, over the span of three recordings so far, given me an opportunity and avenue for both collaboration and leadership. One week later, I underwent a marathon of writing and recording. In the same day, I recorded a percussion duet for Dramatic Orchestration, recorded a string quartet for a collaboration with a student from the Music Technology Innovation program, produced another percussion session, and wrote and recorded an excerpt of a sound-alike song for guitar and voice. The percussion piece is currently on the docket for editing and mixing, and I have since recorded and mixed an expanded version of the song. While the weather felt like it was beginning to turn around the end of October, it quickly resumed its normal sunny disposition. 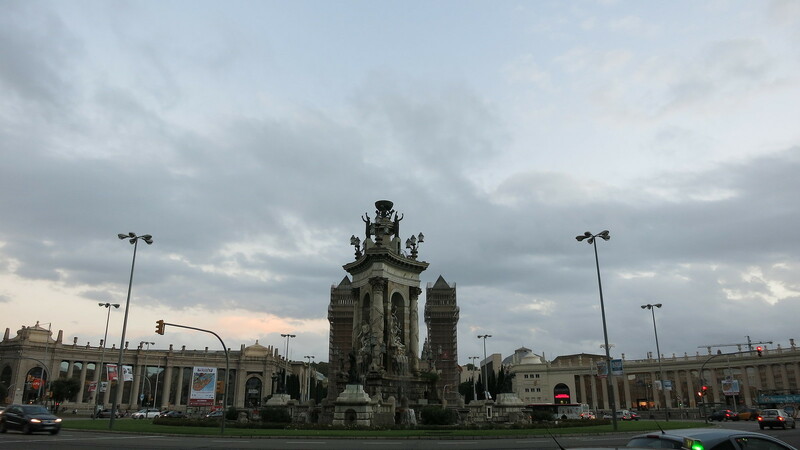 Barcelona was a bit more chilly than Valencia, but overall not unmanageable. The most noticeable element has been the cooling chilling ocean breeze, which is much more active at night — bad news for those of us who habitually leave school to walk home after 2 a.m.! As a result, I was still in T-shirts (and occasionally shorts) during the day — in November, no less! — but I soon found myself wishing for long sleeves at night. This overall pleasant trend continued for the first half of the month. The temperature dropped an average of 10ºC, quite literally overnight, starting on November 15. No, really. The average daytime high between November 1 and 14 was 25ºC, with overnight lows of 14ºC, compared to average highs and lows of 15ºC and 6ºC, respectively, in the second half of the month. Together, they represent the monthly average of 20ºC/9ºC that is commonly published, which only goes to show you that averages, on average, are lies. Given that, I can forecast that it’s going to be on the chilly side until Fallas in March. As I said before, however, the temperature itself is more or less manageable; it’s the night winds and the effect of being on the seaside that chills to the bone. I almost wish I brought more in the way of warmer clothes with me. Very almost. I hope to be able to write again soon, but given our busy schedule, as usual, I can safely make no guarantees.